When I think of desserts my whole family get excited over, it is a fresh fruit based dessert, they love them. So when I make a crumble, I know I have a family excited about dessert. 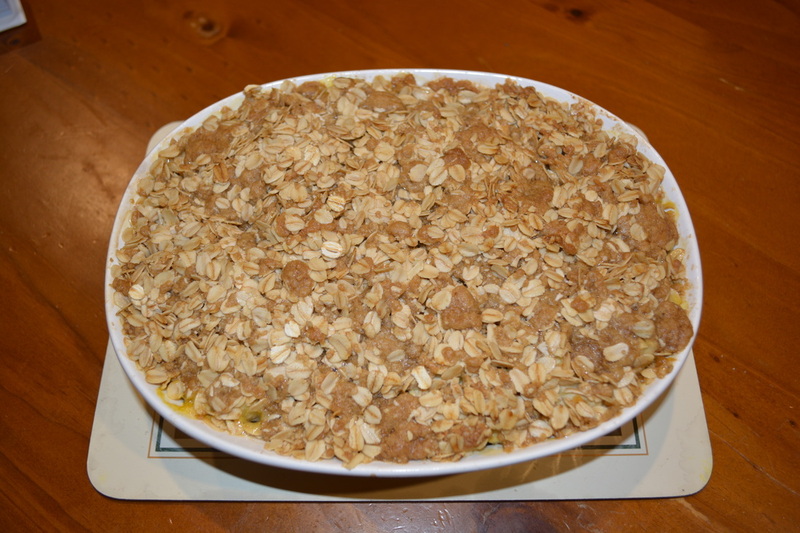 This crumble is lovely, it has a beautiful tropical feel to. I also love that it is simple to make. I prepare it a few hours before I need it, then just put it to bake while we are having dinner. Dessert ready in no time. I have reduced the amount of sugar from the original recipe as I don't like sweet desserts, I find it much better now. 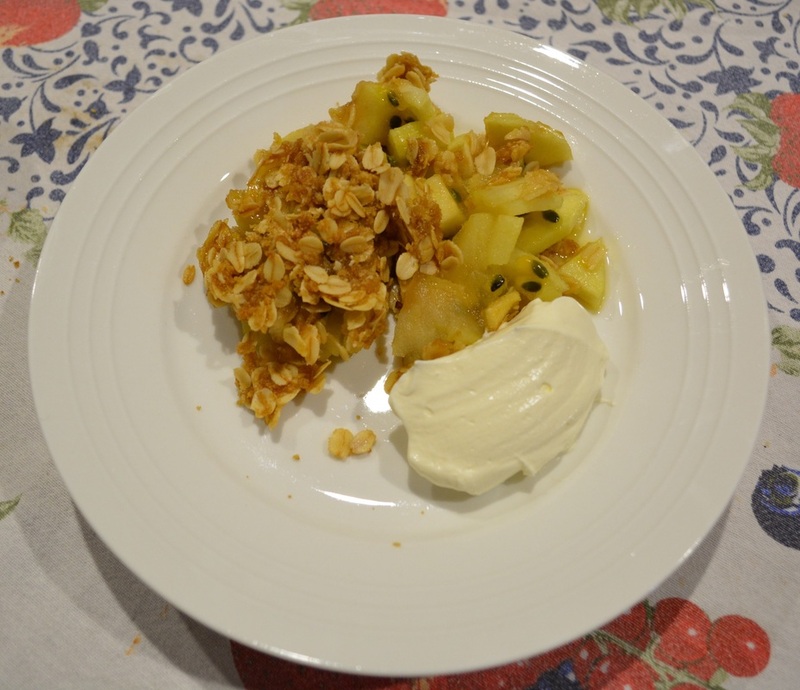 Now I did not have vanilla ice cream at home, my kids were not happy, but after looking in the refrigerator, we found custard, double thick cream and natural yoghurt, so we all had a crumble with a different side. My daughter loved hers with custard, my oldest son loved his with the double thick cream and me and my husband loved it with the yoghurt. My baby (who is actually 7 but still my baby) had just the crumble on its own and loved it. 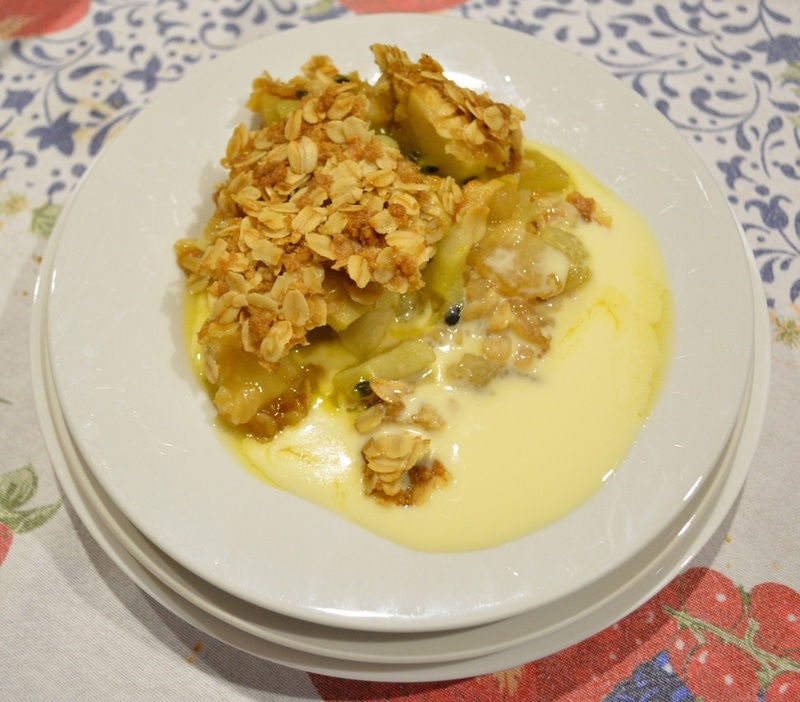 Give this Crumble a go, it is easy to make and your family will love it. Preheat the oven to 180C. Grease with a little butter a 2 litre baking dish. 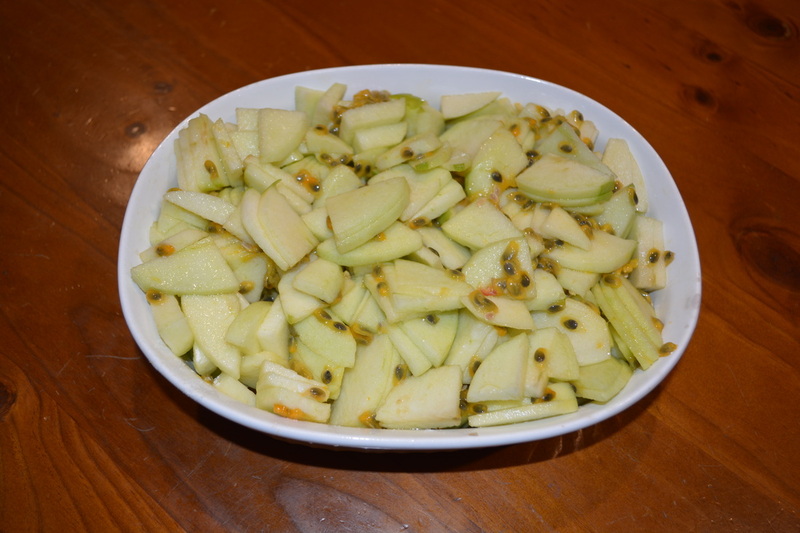 In a large bowl, mix together the apples, sugar and passionfruit. Pour into your greased baking dish, spread out evenly. If you have a mini food processor-place the brown sugar, flour and butter in the food processor and blitz until combined. 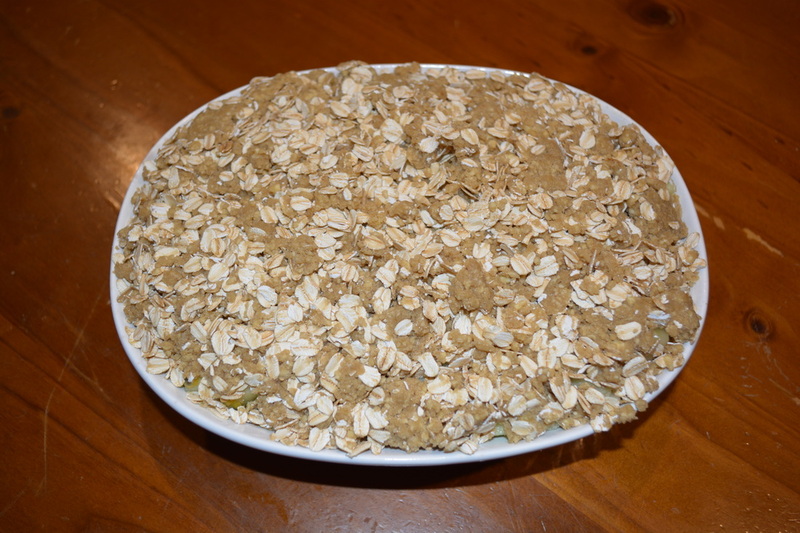 Add the oats and still through with a spoon, until mixed in well. If you don't have a mini food processor, no problems, with your hands, rub together the oats, brown sugar, flour and butter until you have a crumble consistency. Bake for 30-40 minutes or until golden and the apples are cooked. 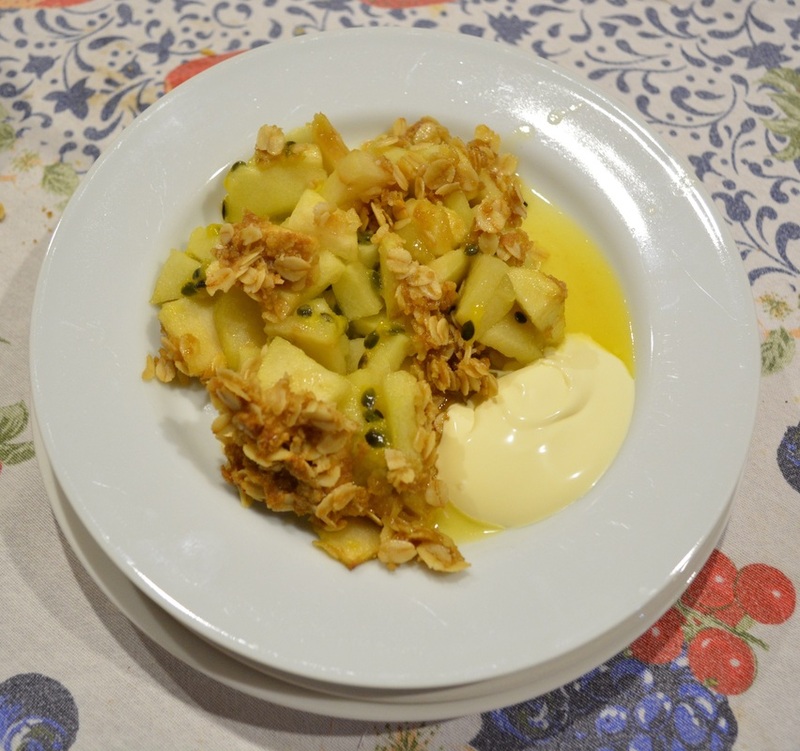 Serve the crumble with Vanilla Ice Cream or custard or cream or yoghurt.